While Ice Climbing may not be on everyone’s list of things to do during the winter months, the popularity of ice climbing as a sport is on the rise from both local and international climbers alike. Ice forms every year and is usually climbable from mid June till mid August. 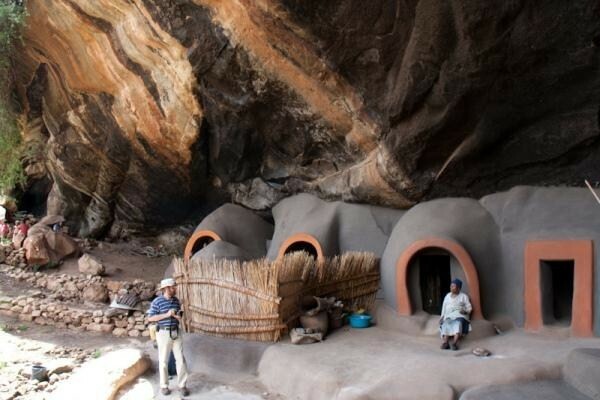 With more peaks per square kilometre than any other country in Africa, Lesotho is sometimes referred to as the “Switzerland of Africa” as it is blessed with spectacular cliff faces, ridges and chimneys. Ice climbing in the Drakensberg was first properly probed by British climber, Jeff Ingman while on a work contract in South Africa. Ingman and various partners made the first ascents of some of the major water-ice routes of the Giant’s Castle area. From that time until the late ‘90s only a handful of enthusiasts continued climbing these routes. Then towards the end of the millennium the shorter and more accessible routes of the Sani Pass area were climbed. This development coupled with the publishing of all the winter routes in an addendum to the Rock Climbs of the Drakensberg, sparked a big interest in the sport. [/caption]Most of the consistently forming routes occur in the Central or Southern area of the range. Indeed the only documented routes north of Giant’s Castle are the South Gully of Champagne Castle, the South Gully of Cathkin Peak and the Cleft Peak Frontal Route (Godbold’s route). A snow gully has also been climbed just north of Langalibalele Pass but very little is known about it. All these routes seldom form fully and as a result are seldom climbed. They tend to be mainly névé snow routes. The Cleft Peak route is probably very good climbing when in condition. In the last few years a number of water-ice routes have been discovered across the border in Lesotho. There is most likely much more to be found for the adventurous climber. The Drakensberg south of the Transkei border and in the Rhodes region probably also has much undiscovered ice. This area is located near the A1 road in the western area of the Maluti range of Lesotho. Most of the climbing is in the valley near the New Oxbow Lodge. A few falls also exit near the road on the Moteng Pass area. Most areas can be spotted from the road and are accessible by car followed by a short walk. Club Maluti – This is probably the most commonly know ice fall in the Oxbow area. 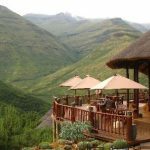 It is located in the valley directly above the Club Maluti ski lodge on the road between the New Oxbow lodge and the ski slopes. MCSA – Main Ice fall – OxbowBokong Nature Reserve, Central Maluti Mountains, Lesotho. 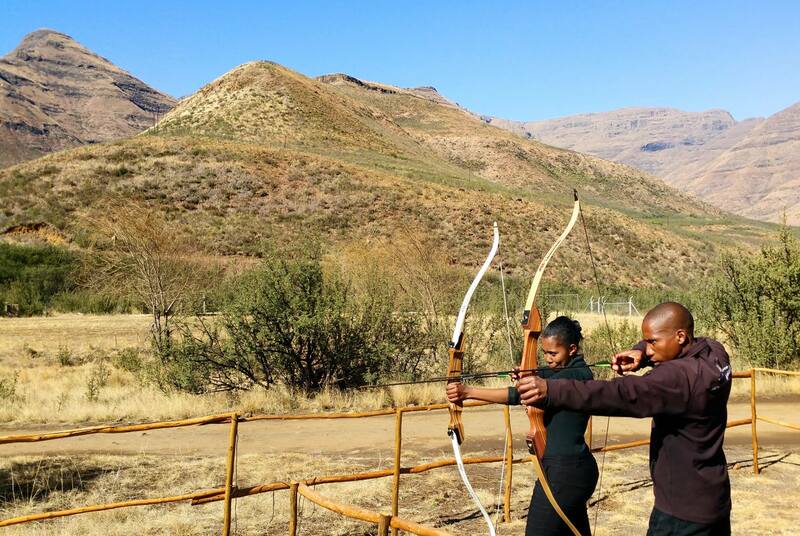 This area is located in the Central range of the Maluti Mountains of Lesotho. It has perhaps the most sustained ice route opened in southern Africa. Lepaqoa Falls – The main icefall is the obvious choice for climbing but is not ideal for inexperienced climbers. There is easier climbing available at the bottom and to the left of the icefall and another area over the ridge to the northeast. Siberian Enema – This is the short icicle that forms at the top of the cliff to the right of the Lepaqoa falls. Moonlight Alien – Follow the stream, from the top of the falls, up the valley for a few hundred meters then turn right and walk to the top of the ridge. 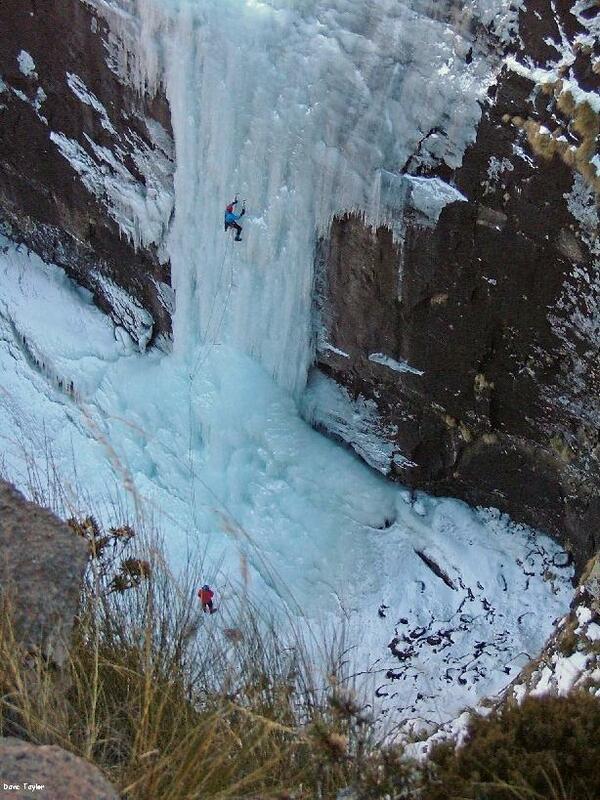 Among the best spots for ice climbing is the southern Drakensberg, which has several routes ranging in difficulty from a fairly simple but slippery walk to advanced climbs that will challenge even the most experienced ice climbers. Three of the most popular routes in the Drakensberg offer a range of conditions and technical demands. The Sani Pass is the most accessible of the routes and the one most suitable for beginners, with short easy climbs on trails that are semi-protected from the elements. 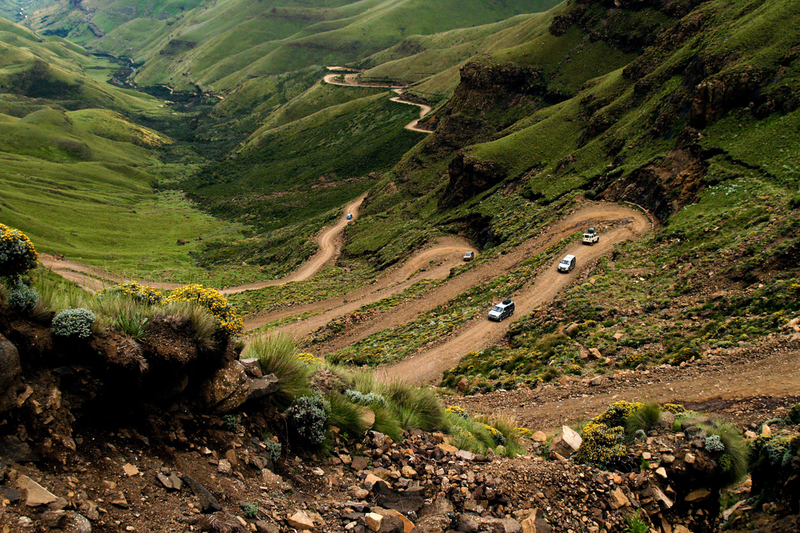 Sani Pass which is the most accessible and the best area for beginners. The climbs are short, easy and not exposed. Giant’s Castle holds the countries very best and longest routes. There are 4 to 5 pitch routes and practice areas for beginners. Several major ice-falls are still to receive first ascents in this area. To visit this area requires several days and a high degree of walking fitness. At Giant’s Castle there are practice areas for beginners, but this area is generally for the more experienced climber, boasting some of the longest and best ice climbs available in the country. A big attraction is the presence of several major icefalls that remain virgin territory…for now. This area is only for the dedicated and experienced adventurer, as getting to the routes takes a few days and demands peak physical fitness. Rhino Peak has more accessible ice than Giant’s Castle but is better known for easy snow gully routes for beginners or experienced climbers alike, who are looking for Alpine feel climbing in South Africa.